Individualized training plans for busy athletes, biomechanical analysis, bike fitting, injury prevention and rehab. One-on-One Monthly Coaching with programs delivered in one week blocks, Annual Training Plans, Consultations for injury prevention, training planning, sport-specific skills, and training sessions, and professional bike fitting. See website for details and fees. Daryl Smith has over 15 years of experience in racing and coaching runners and multisport athletes and is a L1 USAT Certified Coach. 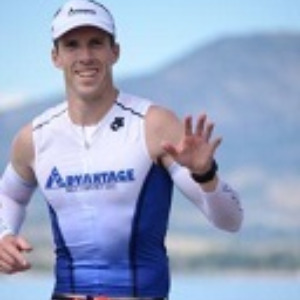 He has achieved several top age group and overall placings in triathlon and duathlon. He is also a Physical Therapist trained in orthopedic sports therapy and bike fitting, so he understands how to keep athletes healthy. Daryl has raced at distances from sprint to ultra. His philosophy is based in periodization, key workouts, health, and fun, and is an excellent fit for busy athletes trying to reach their full potential in the sport while balancing work, family, and life. Daryl is the owner of Advantage Multisport, LLC, an online and in-person multisport coaching business dedicated to helping athletes achieve their goals and dreams. Success. Coach Daryl Smith has been notified of your message.